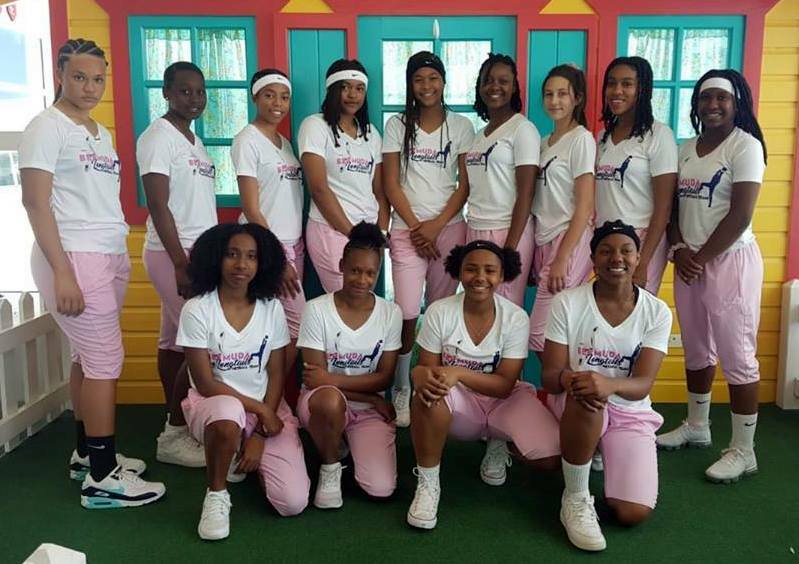 Bermuda’s 2019 Jean Pierre Under 16 Tournament captain Selah Tuzo reflected on the overall tournament for her team. “Overall the physicality of the players from the other teams was an eye opener, which I hope can help improve our style of play in Bermuda,” continued Tuzo. “We made new friends and earned the respect from many players. Many players and adults took our numbers, pictures with us and made us feel like celebrities. I am proud of my team and look forward to the next tournament,” concluded Tuzo. 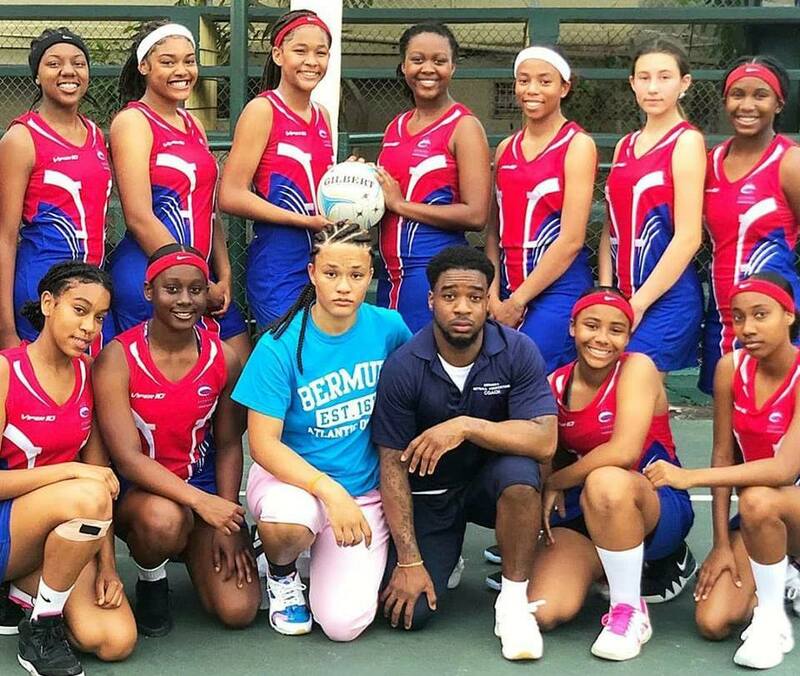 Bermuda concluded competing in the 2019 Jean Pierre Under 16 Tournament in Antigua & Barbuda. Bermuda went into their Final match of the tournament against Dominica and went down 36 - 24. 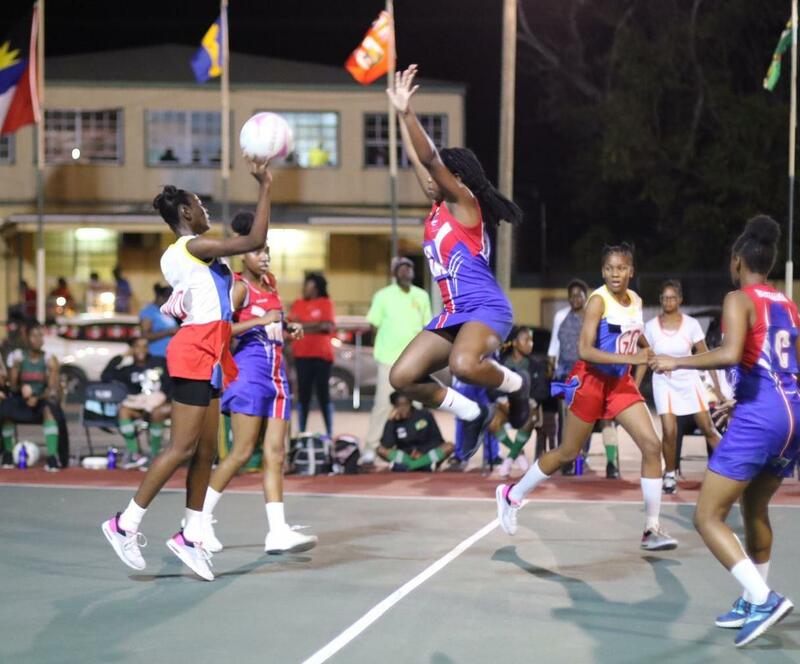 Bermuda and Dominica would end the first quarter deadlocked at 10 – 10, but Dominica would outscore Bermuda 11 – 3 in the second quarter to take a 21 – 13 lead into the break. The third quarter would see Bermuda outscored 8 – 5 as Dominica would lead 29 – 18 and then the final quarter saw Dominica outscore Bermuda 7 – 6. Asrael Basden would lead the way with 21 goals, while Selah Tuzo added 2 goals and Jade Johnston scored once. Bermuda finish with a record of 2 wins and 5 defeats, with Tuzo named Bermuda’s MVP and one of the top 16 players of the Tournament. After a long day at the courts were Bermuda started the day with the Shooting Competition as the 2019 Jean Pierre Under 16 Tournament in Antigua & Barbuda continued, the Bermuda team then had to hang around as they would face off in the last day of the match vs. the host country. Bermuda went into their 5th match of the tournament against the host country Antigua and Barbuda, knowing they would bring high energy in hope of winning their first match, however, Bermuda had other plans. Antigua and Barbuda had a point to prove, and started the match with an extremely physical style of play. This being Bermuda's most physical match of the tournament thus far, seemed to stifle them along with having to change their starting shooter Butterfield after the Antigua and Barbuda goal keeper landed harshly on top of her, with the First Quarter ending 4 - 2 in favor of Bermuda. The teams continued to battle through the Second Quarter in what appeared to be a see saw event with the teams going to the break with Bermuda leading 8 - 6. Bermuda would make some tactical changes bringing in Coriah Simmons at center and changing the starting center Burrows to the WA position to try to inject some speed into the midcourt. With the change seeming to make a difference ending the Third Quarter more level with Bermuda leading 12 - 11. After a firm talking to Bermuda finally shifted gears and played their game. 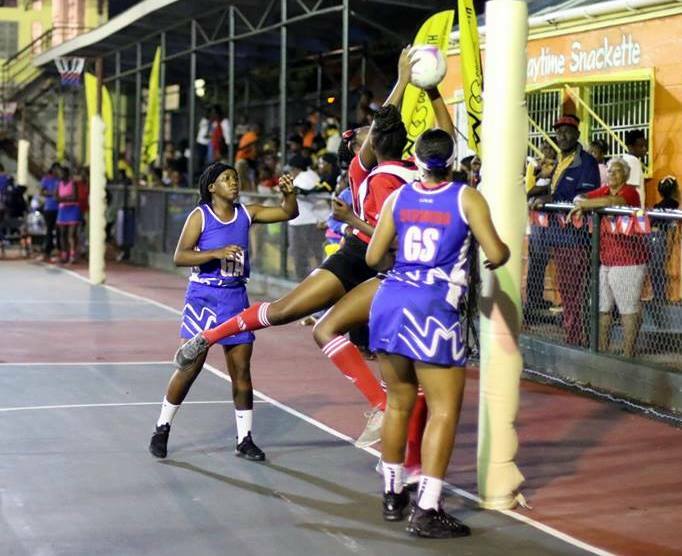 Bermuda would make interception after interception taking total control of the match and only allowing Antigua & Barbuda to score 2 points finishing the match 25 - 13 were Bermuda would register their second victor of the tournament. Bermuda would get 18 goals from Asrael Basden, 4 from Selah Tuzo and 3 goals from A'Maiah Butterfield. Playing in their third game of the 2019 Jean Pierre Under 16 Tournament in Antigua & Barbuda, Bermuda would take on Barbados. Within 5 minutes of the game commencing the rain came down. The players were slipping and sliding until several players fell and officials called a halt to the game until the rain stopped and to courts dried out a little. Bermuda was unable to adjust to the wet court conditions and Barbados made them pay. At the half Barbados held a 25 – 6 lead, Bermuda would make subs allowing Amara Richards and Kacey McGowan to get some game time. Bermuda was able to move the ball better and got several interceptions but was unable to capitalize on them eventually falling 41 - 11. In their second match of the day unfortunately Bermuda fell 41 – 22 to St. Lucia despite their valiant effort. Playing in their second game of the 2019 Jean Pierre Under 16 Tournament in Antigua & Barbuda, Bermuda would take on Trinidad & Tobago. The tournament did not start well for Trinidad, as their uniforms did not arrive when they did, but once in uniform they quickly adapted against Bermuda. Bermuda Starting Lineup: GS - Asrael Basden, GA – Amaiah Butterfield, WA - Coriah Simmons, C - Selah Tuzo, WD - K'Xiyae Gibbons, GD - G'zai Dyer, GK - Elishae Smith. At the end of the First Quarter, Trinidad and Tobago held a 10 – 2 lead over Bermuda. Trinidad & Tobago proved to be just too strong for the Bermuda team as they recorded a 35 – 15 win over Bermuda. Butterfield would score 9 goals, with Basden adding 6 goals.